In the opinion expressing the Holy Scriptures in their reports we find in many situations this phrase "The Fear of the Lord" seeks to convey a different meaning from what could be interpreted outside of the biblical texts. 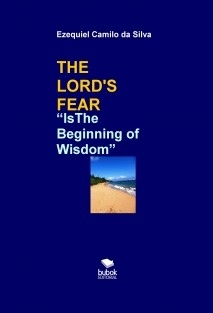 Therefore, the "Fear of the Lord" is not something that will convey the feeling of fear of the Lord God, but above all keep it obedient in submission to God's will, with high respect, reverence, adoration, devotion that means keeping connected in communion through prayer with the true and supreme "Lord and Creator of the Universe"!The prayer of the "Our Father", Jesus left us the example that when praying we must first address God as our heavenly Father and therefore he being our "kind and loving Father," from the moment in which we place ourselves entirely to His will, He certainly will hear us and will give us what we ask for his infinite grace! A CONQUISTA DA AMAZÔNIA "O PROJETO"